The uninhibited translation of will to result inherent in the iPad’s design troubles Matthew Crawford. 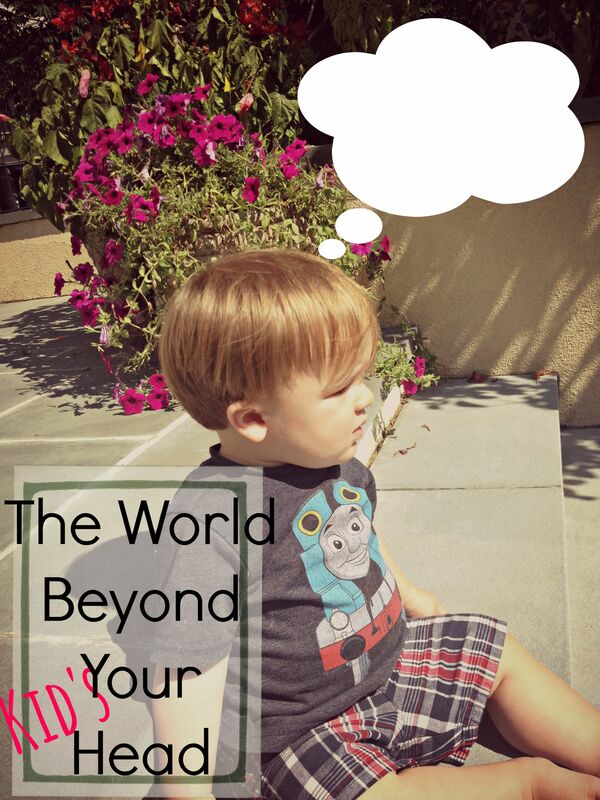 In his recent book, The World Beyond Your Head , he explains a crisis of attention is afflicting contemporary society. We lack the ability for extended concentration necessary to develop skills, both physical and interpersonal. Our culture is being habituated to expect all of life to be as easy as using the iPad and celebrating the dismissal of the friction that comes from encountering the real world and gaining skills. Naming Kant as the originator of our Selves as autonomous wills, Crawford sees a decline in the pursuit of skilled labor as frustration with the “contingencies of reality,” or, more simply, the unwillingness to do hard things in pursuit of a greater good. He cites the increasing separation of person from road through brake-by-wire or virtual maps projected on car windshields. We put technology between our selves and the real world to transform our primary purpose from doing, growing, and learning to simply choosing pre-selected convenience-making solutions. Matthew Crawford hates Mickey Mouse Clubhouse for this reason. Not so for Mickey Mouse Clubhouse. In this CGI world, our favorite characters are no longer subject to the whims of anvils or termite damage or springs. Instead, the Clubhouse is “filled with amazing technology that always works perfectly.” An essential piece of technology for Mickey and his friends is the “Handy Dandy machine,” “a computer-like thing that condenses out of the Cloud and presents a menu of four ‘Mouseke-tools’ on a screen, by the use of which the viewer is encouraged to be a ‘Mouseke-doer. '” Now, when Goofy approaches a cliff, he no longer skis right off the edge, letting out his infamous holler; instead, Goofy says the magic words (“Oh, Tootles!”) to summon the Handy Dandy machine. One of its options is a slide. “The slide is conjured out of the ether,” Crawford writes, “and settles gently into place to run from the cliff to the far bank.” No holler necessary. While initially Crawford’s point about the “child as problem solver” doesn’t sound all that unfortunate, he points out that the “Mouseke-doer” does not actually do all that much. Rather, he is fundamentally a chooser who, instead of dealing with (via Goofy) the material reality of a cliff, he outsources his problem-solving to the magical Handy Dandy machine, which has actually already made the choice for him – use the slide, of course. This process is a perverted problem solving that merely outsources the real work of dealing with getting down that cliff. Crawford writes that the hazards of material reality must be part of “the world in which we acquire skill as embodied agents.” No skill is acquired in making the right choice on the Handy Dandy machine. If anyone both understands and hates the limits of the material world, it’s a toddler. 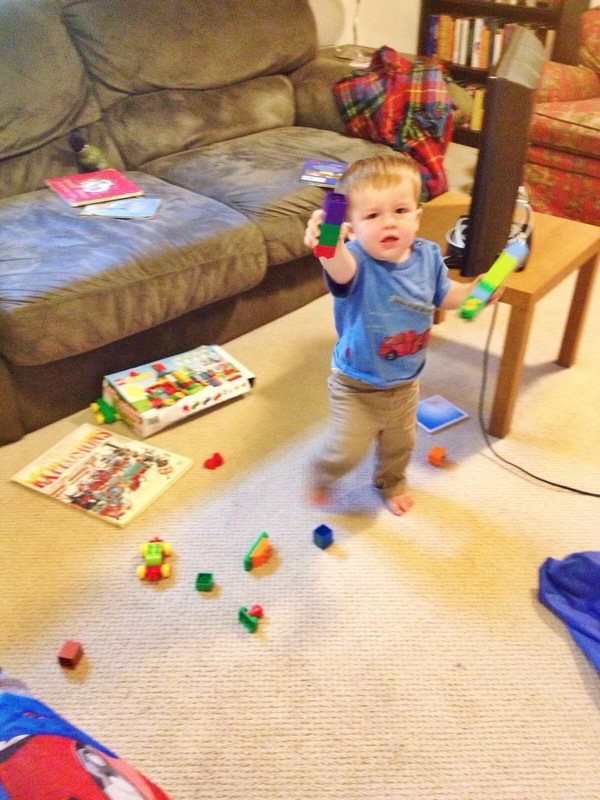 My seventeen month-old has suddenly figured out what Duplos are for. His attempts to put the pieces of his number train together are varied in their success, and thus, provoke a range of despair and joy. He managed to get the little conductor attached to the number five block? Big smiles and applause for himself. More often? The conductor bounces off the block and little Christopher collapses in frustration. It’s difficult for me not to swoop in as the Mommy Handy Dandy machine in those moments. 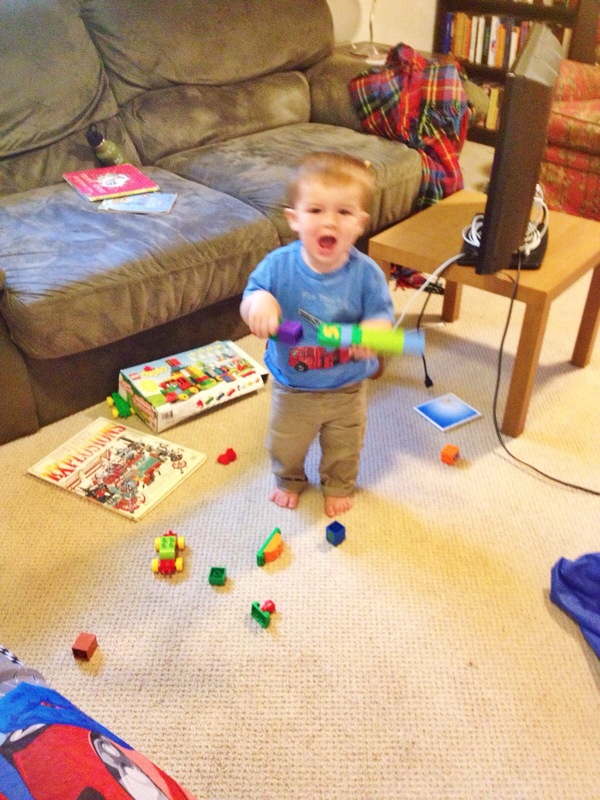 Toddlers are pure will – I want to get the little conductor mini-fig to stand on the lego block – with extra attention to the contingencies of real life as an embodied person, namely, fine motor skills. But the more my son tries to get the Duplos together, the more it becomes second nature, and hopefully, the mastery of the basic building blocks of Legos will allow him to eventually play imaginatively and contribute to helping him cope with the difficulty of learning new things more generally. Aquinas describes sloth as sorrow at the difficulty of doing good. The first time Chris read this to me, it rang such a sad bell. Since, I’ve identified sloth as my main temptation and sin as a parent. It’s hard to be consistent in discipline. It’s hard to give up “me time.” And I think Crawford’s diagnosis of the age taps into the slothful temptations presented in the midst the daily grind of parenting. My own Handy Dandy machine is called an iPhone. It both lets me attempt to ignore the difficulty of doing good with my own social media binges and try to smooth out the rough patches of pacifying a toddler with a little (or a lot) of Thomas, which thus continues the cycle. I read this quotation from Charlotte Mason recently: “Every day, every hour, the parents are either passively or actively forming those habits in their children upon which, more than upon anything else, future character and conduct depend.” That is terrifying, but is an apparent truth if we are honest with ourselves. Limiting screen time not only (hopefully) can help avoid some of the excesses of the technological autonomous will for our children, but also can remind parents of the importance of reality-attuned habits. Vocation is about growth in virtue, which is often, if not always difficult and parenting can have little immediate reward. Instead of handing him my iPhone to watch truck videos every day at 3:30pm, sometimes reading Make Way for Ducklings a seventh time in my terrible Boston accent is the correct, long-game, death-to-self choice. And rejecting the temptation to just throw on another episode of Thomas to stop the grumping means helping Christopher to die to his own little self and experience the discomfort of learning to be patient or “helpful” while I’m cooking dinner or talking to Chris over the dinner table. Of course, I kept waiting to post this until I didn’t feel like a hypocrite – I only have one kid and I fail at this a lot, but you have to start somewhere, right? Crawford writes, “It is in the encounter between the self and the brute alien otherness of the real that beautiful things become possible.” These lofty words have mundane application: small choices can aid habit formation and tell the autonomous will it’s not the boss, a lesson both we and our children need to learn. This post contains links with the Amazon Affiliate program. If you make a purchase using one of these links, I receive a percentage of the sale at no cost to you.